"I have been using these knives for years. Everyone in my family uses them now. 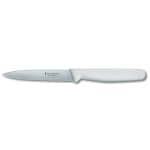 I use to use cutco but bought one of these knives in a tourist sto..."
"The Victorinox 4" serrated paring knife is a wonderful kitchen must-have. I use them for general purpose. 3.5" is not long enough, get the 4"...."
"These little knives are great for paring, steaks, and anything you need a knife for. I give them as shower gifts, wedding, and Christmas gifts...."
"I have been using these knives for years. Everyone in my family uses them now. I use to use cutco but bought one of these knives in a tourist store and that changed me. These are so sharp the first few months you use them you will cut yourself if you are not extremely careful. I even have friends using them. Buy them, you will not be disappointed." 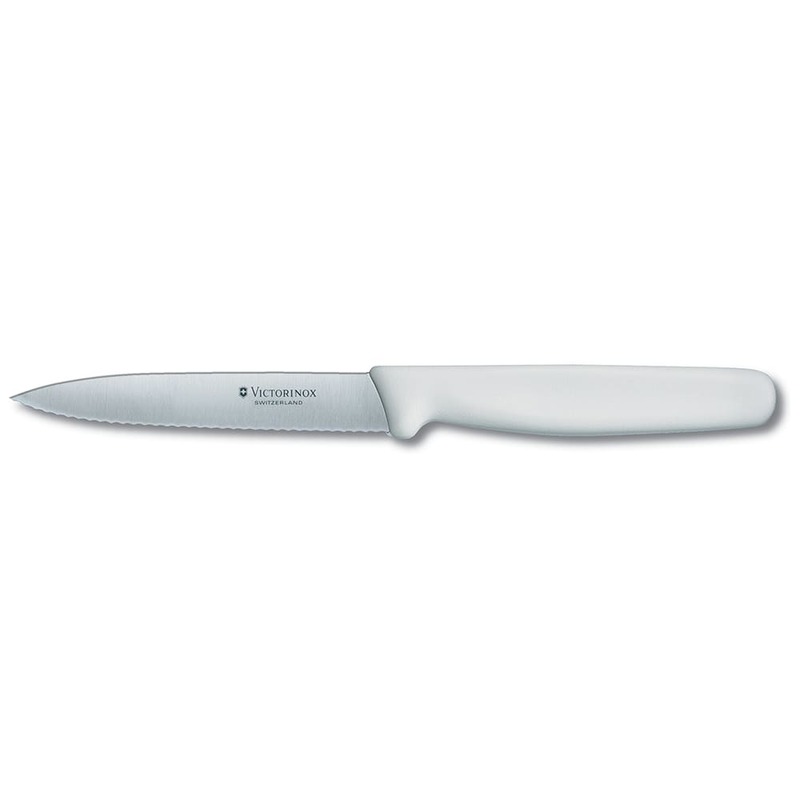 "The Victorinox 4" serrated paring knife is a wonderful kitchen must-have. I use them for general purpose. 3.5" is not long enough, get the 4". Serrated can be sharpened, if you are patient enough to try, with a fine round file and a stone for the flat side. Katom is a great vendor. Fast, efficient, happy transactions." "These little knives are great for paring, steaks, and anything you need a knife for. I give them as shower gifts, wedding, and Christmas gifts. Every ones favorites. I keep a dozen on both counters at both of our places"